Companies today are fixated on innovation, to say the least. Many have reorganized so that ideas can move forward faster and with less internal friction. A recent McKinsey Quarterly articledescribes how companies are experimenting with virtual-reality hackathons and “innovation garages” to step up their product-development hit rate. We know that much of corporate innovation travels along well-orchestrated pathways—a neat tech breakthrough, a product owner, and an orderly progression through stage-gate and successful launch. Over the past three years, my colleagues and I have been researching how people frame their innovation stories to create differentiation and attract attention. Our project started with the creation of an innovation award—officially, “The Real Innovation Awards”—at the London Business School in 2016. The award had a number of provocative and unusual categories (see exhibits), nominations for which were determined by a mix of expert judges and crowdsourced voting. Over the three years, we have had more than 1,000 nominations1 from companies or individuals, of which 54 were shortlisted and 26 awarded prizes. Based on our analysis of the stories of all nominees so far, here are three lessons for senior managers as well as entrepreneurs, in organizations large and small, on what makes a compelling and emotional story. The tenth anniversary of the global financial crisis has provided the occasion for serious reflection about the prevention and resolution of financial and economic crises, and whether the key lessons from the crisis have been addressed. In Asia and the Pacific, there are other crises to think of: it has been two decades since the Asian financial crisis, two-and-a-half decades since the Latin American crisis, three decades since Australia’s and Japan’s home-grown financial crises, and four decades since the collapse of the Bretton Woods system of fixed exchange rates. Financial crises are regular and serious, and they have devastating economic and social effects. It is hard to reform, given that change affects vested interests and can be hard to explain politically. And it is hard to prevent crises, given the structural vulnerabilities and trigger events that lead to a collapse of confidence vary in each case. Much of the focus of reform is on how to improve the resilience of financial systems and economies, particularly on market design, risk management, regulation and supervision, and the adequacy and effectiveness of safety nets. The world – and the Asia-Pacific region maybe more than other regions – is vulnerable to spillovers from events like trade and currency wars, military conflicts and security posturing getting out of hand. Government and bank debt exposure can also undermine public and market confidence in financial systems in big economies. In a world of changing strategic balance and nationalism, these events are all too possible. Addressing the sources of financial risk is right. But it is useful to complement work on financial resilience with a broader reflection—and action agenda—on the strength of economic and social institutions and frameworks across countries. These institutions and frameworks tell us something about the resilience of an economy and society as a whole to shocks and how shocks are transmitted and affect a country. There are many indicators of a country’s institutional health, but a good proxy to start with is Transparency International’s index of perception of corruption in the public sector. Across Asian and Pacific economies, there is still a wide spread in the quality of transparency around lobbying, political finances, government spending and public institutions. The top end is consistently dominated by New Zealand (89 out of 100 in 2017) and Singapore (84), followed closely by Australia and Hong Kong (77), the United States (75) and Japan (73), Taiwan (63) and South Korea (54) in the middle of the pack, followed by Malaysia (47), China (41), India (40), Timor Leste (38), Indonesia and Thailand (37), Vietnam (35), the Philippines (34) and Papua New Guinea (29), with North Korea (17) at the bottom. Some low- to middle-income economies have significantly improved their rating in the past five years: 9 points up in North Korea from (8/100), 5 points up in Indonesia and Timor Leste, and 4 points up in Papua New Guinea and Vietnam. People’s trust in government in Malaysia and South Korea, as measured by the Edelman Trust Barometer, improved in 2018 from 37 per cent of people surveyed in 2017 to 46 per cent in 2018 in Malaysia and 28 to 45 per cent in South Korea. This may suggest further improvement in public sector transparency is to come in those countries. The only country in the region with a big fall in the perceived quality of its public institutions since 2012 was Australia, down 8 points, although Singapore’s high rating eased back slightly by 3 points. Action to build resilience always starts at home. Consistently looking to improve governance of domestic public and private institutions, the integrity of market processes and regulation, and lifting competition is a no-brainer. Small steps are fine; incremental improvements in openness about how decisions are made is better than none when there is still a lot of room to improve. These deserve as much policy and public focus as strengthening the financial system itself. There is a clear case, for example, for a national body in each country to protect integrity in public-sector decision-making, full transparency and rules in public grants. The same is true for proactive regulation of markets to ensure that all those markets are competitive and deliver for consumers—which is the whole rationale for markets in the first place. These steps would facilitate greater public trust and confidence in the decisions made by ministers, officials and businesses, and build resilience across the economy. In a world of shifting geopolitical power, rising nationalism and stressed global frameworks and institutions, it is also the right time to lift and energise cooperation with other countries in the region and beyond wherever an opportunity to do so can be found. In addition to strengthening domestic institutions and frameworks, the better response to global uncertainty is to build and strengthen relationships and strategically and pragmatically engage with other countries in areas of mutual interest. Building a coalition of economies in APEC, for example, to work together in areas like facilitating and retaining foreign investment, strengthening competition in domestic markets, improving decision-making and management in infrastructure, can help build trust, lift capacity and improve economic and social outcomes in all economies. This complements work on regional and global crisis financing. In key groupings like ASEAN, APEC and the East Asian Summit, the Asia-Pacific region has a solid and broad-based apparatus to build up its resilience and improve outcomes for its people. The opportunity is there to take. For 40 years, northeast China has frustrated the political leadership in Beijing. Once the heartland of an industrial, modern socialist China, the region has fallen behind the rest of the country on all measures of economic, social and environmental well-being. Since 2003, the central government has spent a significant amount of resources on revitalising the northeast into a fourth engine of the Chinese economy after the Pearl River delta, the Yangtze River delta, and the Beijing-Tianjin-Hebei economic corridor. But the results have been mixed at best and hopeless at worst. Not only is the northeast the ‘rust belt of China’, it may be one of the most severe cases of deindustrialisation globally. The revitalisation strategy has itself been ‘revitalised’ twice, with the changes reflecting the economic debates in the leadership of the time. In September 2018, Chinese President Xi Jinping undertook an extensive and well-publicised inspection tour of China’s three northeast provinces — Liaoning, Jilin and Heilongjiang. Inspection tours by political leaders in China are an essential part of their role in drawing attention to issues of importance and in scaring recalcitrant cadres into adopting the centre’s policy lines. Xi knew exactly what he was doing by visiting the northeast right before the anniversary of Deng Xiaoping’s reforms and opening up speech in 1978. The northeast still has a symbolic and substantive significance to contemporary Chinese politics, which Xi understands and which China watchers should as well. Northeast China is the last redoubt of Maoist political economy in today’s China. It is this so-called ‘northeast economic mentality’ that Chinese officials blame for the failure of the people to embrace market reforms. But for Xi, the northeast represents something else. Xi is undoubtedly the most institutionally powerful leader since Mao Zedong and the Chairman’s spirit of economic development still haunts the northeast. While the leadership of Deng Xiaoping, Jiang Zemin and Hu Jintao saw a movement of policymaking away from the centre, Xi Jinping has sought to reclaim this power. ‘Self-reliance’ was the theme of the tour and the recent trade war developments with the United States were squarely in mind. The ability of China to produce enough food for its people was a key talking point. From Beijing’s point of view, China can no longer rely on an open and liberal trade regime for its continuing economic modernisation and instead should build up its own capabilities and economic activity. The northeast is the perfect symbolic location to hammer home this point as its self-reliance is an enduring legacy of the Maoist industrialisation drive. The great rejuvenation of the Chinese nation is a core component of Xi’s ‘Chinese Dream’. As other world leaders look to their own nation’s rust belts as a basis of support to make their country great again, so too is Xi looking to the history and economic values of the northeast. China’s north-eastern citizens feel the same sense of grievance and abandonment by elites as those in Detroit, the north of England, northeast France and East Germany. They may not have an electoral outlet for their rage but they express their anger in their own way. This is usually done through illegal strikes, a vast grey-economy network or voting with their feet and leaving the region altogether. The northeast has arguably received the least benefits from China’s 40 years of market reforms and its leaders are reluctant to embrace further marketisation, privatisation and internationalisation. 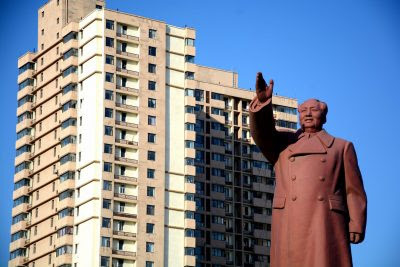 By deliberately mirroring the inspection tours of Chairman Mao, Xi may be signalling that the northeast does not need to abandon its long held political and economic values. The revitalisation strategy itself has previously only offered the same solutions as industrialisation strategies have offered in other regions of China. 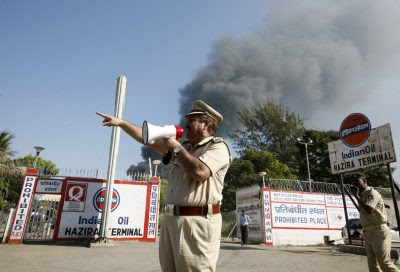 These strategies include free trade zones, foreign investment and corporatisation of public assets — all of which diminish the personal power of local cadres in the northeast without guaranteed economic benefits. Xi’s willingness to strengthen the role of state-owned enterprises (SOEs) appeals to the northeast’s longing for a return to the past when SOEs dominated the economy and the lives of their respective workers — a policy that Beijing has previously been in conflict with the northeast over. Now SOEs are allowed to be bigger and more firmly under the control of the politicians. Many within China argue that a return to the old ways of doing business are as bad as reintroducing the same set of revitalisation policies every few years. Fear of new economic ideas and new ways of governing post-industrial societies is what stalls the revitalisation of northeast China and all regional economies that are blighted by deindustrialisation. If Chinese policymakers were truly worried about their revitalisation efforts, they should be concerned less about the nostalgia of the people for days past and more about the policy parameters that cadres can operate within under an increasingly authoritarian political structure. Xi’s appeal to ‘make China great again’ indeed speaks volumes about his thoughts on the legacy of Deng’s reform and opening up mission. Communist China may be richer but may have lost an important part of itself in the process. Whether Xi’s tour will be enough to jumpstart fresh and long-lasting revitalisation results may take several years to determine. When I was in college, I am not sure that it ever really occurred to me that one could line up a post-graduation job before, like, March of one’s senior year. I am well aware of what a fantastic and vanished privilege that ignorance was, by the way; the late ‘90s were a magical time. Anyway, I did not go work at Goldman Sachs after graduation—I went to go teach high-school Latin—but lots of other humanities majors did. Working at Goldman Sachs was the sort of thing that a smart person with a fancy degree could stumble into without too much preparation, a typical stop on the course of elite education rather than a consciously chosen career open to people with specific interests and aptitudes. Eventually I did go work at Goldman Sachs. But the late ‘00s and early ‘10s were a less magical time, and when I went back to my alma mater to do recruiting, I met with a steady stream of applied math and economics majors who had interned in the financial industry the previous summer and all seemed to be presidents of the investing club. The world had gotten more specialized, and young people’s lives more structured and competitive, but the declining popularity of the financial industry after the crisis also probably had a lot to do with it. If you had been preparing to work in investment banking your whole life, you still went to work in investment banking. But if you were just an aimless smart person, that choice had lost its appeal. It was no longer a standard post-graduate form of finishing school; it was just a job for the sorts of people who might want that sort of job. Goldman Sachs Group Inc. and JPMorgan Chase & Co. won’t interview or extend summer internship offers to college sophomores this year and will go back to recruiting students in the fall of their junior year, executives said. Early recruiting was originally meant to reach diverse candidates who might not have considered careers on Wall Street, including women, minorities and students from less affluent backgrounds. But the opposite happened. When banks started recruiting earlier, the most enthusiastic applicants were white men who had informal ties to finance through family or friends, people on both sides of the process said. “It began to advantage people who were already plugged in,” said Mr. Holmes of Goldman. I mean, no, if you want to recruit diverse candidates who might not have considered careers on Wall Street, the time to reach them is probably March of their senior year, not winter of their sophomore year. If you are interviewing at an investment bank in the winter of your sophomore year, you’ve probably given it some thought, you know? It’s a pretty good sign that you’re an investment-banker type. Now, obviously investment banks do want to hire investment-banker types. I bet all of those economics kids will be terrific investment bankers; certainly they will arrive familiar with discounted cash flow models and Excel shortcuts, which is more than you could say for me. But something is probably lost when investment banks recruit mostly from among those who have always planned to be investment bankers. Senior bankers will sometimes talk about their desire to recruit more broadly, to hire humanities and science majors and not just finance people. Often they will put this in terms of a business rationale: Hiring a diverse group of scientists and engineers and historians and poets will help a bank connect with a wide range of corporate executives. I am a bit skeptical; really if you want to connect with a wide range of corporate executives you should mostly hire good golfers. Instead I suspect there is a bit of a snob factor at work: If you run a major investment bank, you want that bank to be the first choice of smart people everywhere, to beat out Google for engineers and NASA for physicists and law school for poets. It is nice to be around a group of smart people with diverse interests, but it is also validating. If you can pick from the best of everyone, that means that you are the best of everything. You are an institution, a part of elite culture, a training ground for powerful people. If you’re just hiring investment bankers, you’re just an investment bank. It’s just a job. Did Elon Musk step down as chief executive officer of Tesla Inc. yesterday afternoon? Ehhhhhhhhhhhhhhhhh. I am going to say: No, no he did not. He announced on Twitter that he had “Deleted my Tesla titles last week to see what would happen. I’m now the Nothing of Tesla. Seems fine so far.” He seems—and honestly who knows, don’t take anything I or Musk or anyone else says about Musk too seriously—but he seems to mean that strictly literally: He means that he deleted his CEO and chairman titles from Tesla’s website. There’s a page listing “Management.” It used to say “Elon Musk—Chairman, Product Architect and CEO.” Now it says “Elon Musk.” This is not a thing. You can be chairman and CEO without having your website say “Chairman and CEO.” There’s no, like, legally binding effect of the website. It’s a website. Meanwhile Musk filed a Form 4 with the Securities and Exchange Commission this morning, disclosing that he bought $10 million worth of Tesla stock yesterday. (This is in addition to the $20 million worth he still plans to buy directly from Tesla.) You will not be the least bit surprised to learn that, in the spot for “Relationship of Reporting Person(s) to Issuer,” Musk’s lawyer filled in “CEO.” Not “Nothing.” “CEO.” Because he’s the CEO. And because it’s an official SEC filing, not a tweet. And because a lawyer filled out the form. One problem with Musk’s impulsive tweeting about Tesla seems to be that he is a little unclear on which words have magical consequences. He tweets out stuff that reflects his desires and whims and feelings. Sometimes that stuff is, like, adjacent to meaningful legal concepts that would be material to Tesla. It sounds a little like those concepts. “Deleted my Tesla titles … I’m now the Nothing of Tesla”: Sounds a little like he resigned as CEO, no? But it doesn’t say that. It’s just some harmless Twitter banter. But other times the stuff really does mean the material legal thing! “Am considering taking Tesla private at $420. Funding secured”—that means that you have lined up financing for a going-private transaction that would cash out Tesla’s shareholders and leave it owned by Musk and his private backers. Now that is not what Musk meant: He meant something more like “wouldn’t it be nice if Tesla was a private company without a volatile stock price and offensive short sellers?” But the words that he typed meant something different; words like “going private” are terms of art that shareholders, and regulators, are going to interpret in a specific way. I personally doubt that Musk intended those distinctions. I think he was contemplating taking Tesla private in exactly the same way he has deleted his titles: In a vague, gestural, wouldn’t-it-be-nice way. It’d be nice, Musk thought, for a bit, if Tesla was private. It’d be nice, Musk thought, for a bit, if he didn’t have the burdensome role of CEO. So he just said those things. He said the latter in a harmless way and the former in a weeks-of-distractions-and-tens-of-millions-of-dollars-of-fines way, but that seems to be mostly an accident. As I have said before, I can sympathize with this. There is no reason for a normal human to be familiar with the magic words, to know that “deleted my titles” is harmless nonsense while “taking Tesla private” has grave consequences. There is arguably even less reason for a visionary entrepreneur working 120-hour weeks building electric cars to pay attention to these nuances. But that is why you have lawyers. That is why, if you run a public company, you have some sort of governance-and-supervision process to make sure that the guy making the cars knows about cars and the guy writing the tweets knows about tweets, so that the public face of the company does not go around publishing false statements. Tesla, for some reason, cannot get its act together to impose that sort of structure on Musk, even after signing a legally binding settlement with the SEC promising that it would. That settlement also requires Musk to step down as chairman of Tesla, and perhaps in his mind tweeting about deleting his titles seems like a conciliatory gesture, something that the SEC will appreciate. I am pretty sure they won’t. Here is a story about more conventional corporate dysfunction at Snap Inc., which briefly promoted sales executive Kristen O’Hara to be “chief business officer” and then, two days later, “rescinded the offer and hired Jeremi Gorman, who oversaw ad sales at Amazon.com Inc.” Obviously that is rude and you shouldn’t do that, but I was hung up on the title “chief business officer.” Really it seems like it would be a perfectly good way to say “chief executive officer”: “executive” feels vague and formal, while “chief business officer” nicely conveys that you are in charge of doing the business. If I ever found a company and take it public I might try to be the chief business officer, just for a little variety. Among the Laws of Insider Trading, two have special places in my heart. One is the Second Law, which is that if you have inside information about a company, don’t use it to buy short-dated out-of-the-money options on that company. This one is so important, and comes up so often, because that’s how they catch you: Suspicious options trades the day before a big event are a giant red flag, and if you’ve never traded options before it can be a bit hard to explain why you suddenly got a hankering to do it right before a merger. The other is the Fifth Law, which is that you should not insider trade by planting bombs at a company and buying put options on its stock. This one comes up infrequently, and is arguably not a law of insider trading at all, but it is nonetheless very important, because bombs are bad. Like, insider trading and stock manipulation are generally illegal and you shouldn’t do them and if you do you might get in trouble. But if you just go around blowing things up with bombs you will get in much worse trouble. That is: Violating the Second Law greatly increases the chances that you’ll get caught, and violating the Fifth Law greatly increases the chances that, if you do get caught, you’ll go to prison for a very long time. According to investigators, Wenergold could have made as much as €570,000 ($607,933.50) in the unlikely event that BVB stock hit zero in the immediate aftermath of the attack. But his scheme didn’t pan out. By the time the German stock exchange opened the next day, April 12, the limited injuries had been widely reported and management had already announced a new date for the quarterfinal. BVB stock briefly dropped 2 percent, then more than recovered by the end of trading, leading Wenergold to sell most of his options the next day at a loss. In many instances, people saying “when interest rates rise” should actually be saying “when financial conditions tighten.” Instead of stating that “Silicon Valley startup valuations will fall to earth when rates rise” they should say “Silicon Valley valuations will fall to earth when financial conditions tighten.” Rising interest rates might contribute to tightening conditions, but they’re not synonymous. If credit spreads narrow and the NASDAQ surges, Silicon Valley will be fine even if rates are rising. Clearing this up will help you understand recent market volatility. If you think stocks have been falling due to rising rates (or the fear of rising rates) then you can’t explain why stable dividend-payers like utility stocks have done so well (dividends get less valuable when rates go up). But if you look through a lens of tightening financial conditions, then it makes sense that investors would increasingly prize boring utility companies with predictable cash flows. 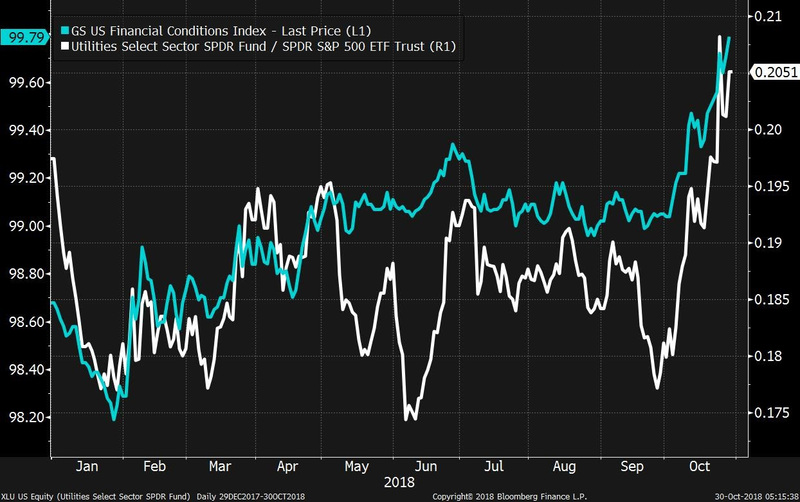 A chart of the ratio between utilities and the broader market vs. the Goldman Sachs Financial Conditions Index shows a nice relationship: as conditions tighten, utilities outperform the S&P. It works when looking at tech stocks, too. Shares of Apple (a massive money generator with a huge cash pile) have this year outperformed peers anytime financial conditions tightened. The dominant market theme is investors rewarding companies that have strong and stable cash flow, and punishing companies that consume lots of capital (like Netflix), hence the relative outperformance of strange bedfellows like Apple and your local electric company. My ears always prick up when I hear long-term observers and participants in markets make prognostications about the future direction of asset prices that don’t chime with what you might expect. Nomura’s Bob Janjuah is a case in point here. Janjuah, a veteran strategist often associated with a bearish outlook, has just been on Bloomberg TV. He reckons there’s now a great tactical trading opportunity in buying U.S. stocks — he expects a two-to-three month bounce. “We’re about to resume somewhat of an uptrend, perhaps to new highs in U.S. equities,” he said. He didn’t offer much detail on why he thinks this will happen, but as someone who’s followed his work for many years, I’d say the idea certainly deserves to be investigated further. Overall, however, Janjuah says that derisking has made sense all year — and it still makes sense. 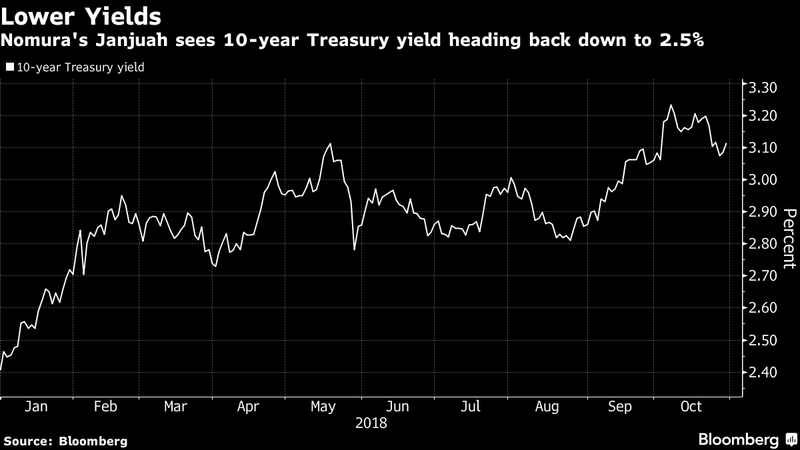 He forecasts 10-year Treasury yields could be closer to 2.5 percent in 12 to 18 months’ time. So his short-term call to go long U.S. shares should be considered within this broader context, where he thinks one core pillar to any investment strategy would be to take advantage of the “fantastic” opportunity currently on offer in U.S. bonds. We’ve now taught you the basics of investing, as well as shown you how to actually get started in the market. If you’ve jumped into the investing world, you’ve likely noticed it’s not as easy as it looks. After a few successes in the investing world, it’s easy to get overconfident and to think that you have the skills to always pick new winners. But nearly all academic research says that this is false. If this is a losing enterprise for even the best stock pickers, then it probably won’t work for you, either. The human brain still has many built-in evolutionary functions from our hunter-gatherer days. These cognitive biases don’t mesh well with investing, often making the brain your own worst enemy. Seeing past things like loss aversion bias, recency bias, bandwagon bias, and others can be a key driver of success in bull and bear markets. The temptation to time the market is contrary to what really works in investing, which is to invest for the long-term, and stay in the market. The reason: if you miss any of the best days of the market, it can completely erode returns. The power of investing comes from annual returns compounding over long periods of time. While this is largely driven by investment performance, it’s also important to realize how much costs can play a role – in fact, high costs can cut a portfolio’s return in half! You want your portfolio to have the highest average return, given the highest risk you are prepared to accept. If you take on too little risk, you will not make headway on your journey to financial independence – and if you take on too much, investing will seem like an uncomfortable roller coaster day-to-day. •A pickup in economic growth. While the slowdown in China’s growth is what has rattled investors lately, an increase in economic growth would be worrying, says Conrad Saldanha, manager of the Neuberger Berman Emerging Markets Equity fund. It seems counterintuitive, but accelerating economic growth would signal that China is abandoning overhauls meant to rebalance its economy and tackle the debt that has piled up in recent years. If policy makers unleash a large-scale stimulus program that includes heavy spending on fixed assets like infrastructure, fueling another credit boom, China risks exacerbating the very debt problem it has been trying to tackle in recent years. And if it eases monetary policy too much while the U.S. is raising rates, it risks having businesses and individuals take their money out of the country. So far, stimulus efforts have been more targeted at boosting consumer spending—a welcome sign for investors. •Sharp declines in earnings and revenue. While estimates of earnings growth have been coming down, profits and revenue have been flat to higher. The next official sign about profitability may not come until the spring, when companies report their earnings, but fund managers are closely watching for signs of marked deterioration. Though some companies have talked about slower orders, that has been blamed on postponements of capital spending because of uncertainty rather than a dearth of demand. Investors are watching to see if those order-book declines are becoming more widespread. At current valuations, the MSCI China index would still be attractive even if earnings expectations came down by about 10%, says Anik Sen, who oversees $22 billion as global head of equities for PineBridge Investments. He has been adding to the holdings of high-quality Chinese stocks in the global equity strategies he manages, raising China from Neutral to Overweight. • Swift declines in China’s currency. The yuan, or renminbi, moved to its weakest point in a decade on Monday, coming close to seven to the dollar. A move past that psychologically key level could awaken fears of more declines. A swift additional decline could push Chinese businesses and individuals to take their money abroad. Such capital outflows would give credence to worries that China is vulnerable to a repeat of the pain in 2015 and 2016, when the market lost $5 trillion in value and people tried to move funds abroad amid policy missteps. Even more troubling: It could spark currency weakness among China’s trading partners, forcing their central banks to raise rates in a bid to keep cash at home. That, in turn, could pressure economic growth. •Debt defaults everywhere. Private enterprises in China are defaulting on their borrowings at record rates as they grapple with regulator pressures and the government cracks down on so-called shadow banking. If more fail to pay, it could indicate that the government and institutions can’t handle the problem. And if nonperforming loans rise significantly, putting strain on banks’ balance sheets and creating broader problems in the financial sector, it could be the trigger for a hard landing in China. With China now accounting for 15% of global economic activity, that could cut global growth by about 1.5 percentage points, roughly halving it, a slowdown comparable to the collapse of the dot-com bubble in 2000, writes Capital Economics in a note on Monday. Though Capital Economics is firmly in the China bearish camp with expectations that growth is going to slow meaningfully over time, a hard landing is not their base-case scenario. The lenders most at risk are state-owned, which means the government could bail them out. But the rise in defaults is a policy slip-up that could reverberate in the banking sector, the firm says. And signs of weakness among Chinese banks could be the trigger for the emerging-markets contagion investors fear, Capital Economics says. The iShares MSCI China ETF (ticker: MCHI) was down 0.5% at $52.26 on Monday morning.